There is an interesting phenomenon floating around in our community. The children of the rebellious years who declared their individuality and strength to include ignoring or purposely rejecting society's "etiquette" and other "rules of demeanor" are now hesitant to enter social situations that could further their careers and personal attainment. Many are in their late teens, 20's and even 30's. REM would like to establish a team of people to develop programs to help those who find themselves in this situation as well as programs to prevent today's children from ending up in that situation. Many southern states include this education as part of their school curriculums...putting our children at a competitive disadvantage. The good news is that there is much out there to learn from. We could seek to copy best practices, not recreate the wheel. At the same time, we could certainly work to even improve upon those "best practices". Mad Hot Ballroom - an inspiration to all who seek to empower youth. Our Dream Catcher has been talking to people for 20 years now. She's the one who first recognized this problem. Here are some of her descriptions. My first experience was in working with a very wise and powerful young woman who had been invited to an event at Colby directly related to her career. She related to me that she could not attend because it was to be a dinner and she would not know what to wear, what to say, and had no idea about table manners. In many cases the problem seems to be more about the lack of confidence than knowledge of social standards. The lack of confidence extends itself into dating, making new friends, and participating in group sports, and special interest classes or clubs. 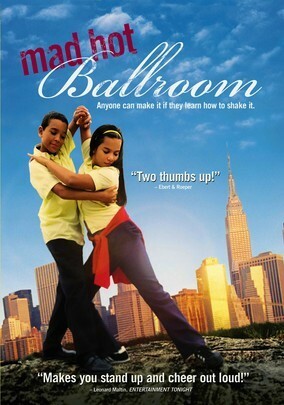 I saw a movie, Mad Hot Ballroom, (available on Netflix) a documentary film by director Marilyn Agrelo and writer/producer Amy Sewell about a ballroom dance program in the New York City public school system, which showed the power of providing an experience for children that can change their lives forever by giving them self confidence. If we look at a top killer of our children, suicide, we cannot deny the importance of giving children confidence and a chance to work hard to achieve a skill and then reap the rewards of the process, a feeling of accomplishment. If you are interested in helping develop experiences to address these issues please click on the "I'm interested" button below and someone will contact you.